Have you ever seen stone thrown up by a lawnmower causing a chip in a window or door? Did you know that even though there may be a cone shaped plug of glass missing from the other side of the glass chip, this damage can often be repaired at a fraction of the cost of replacement glass? 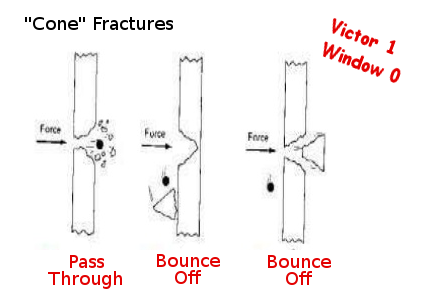 Damage to solid plate glass is typically repairable if it is a "bullseye" type break. 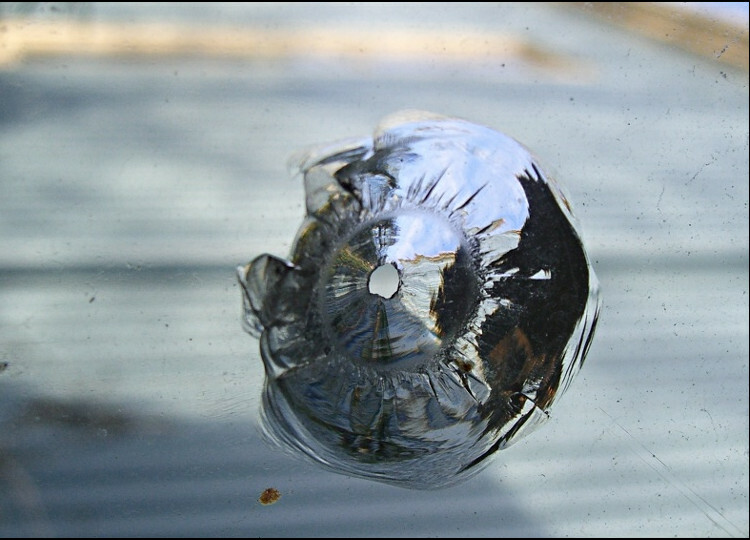 This type of break is caused by a small projectile such as a stone thrown by a lawnmower, a shot from a pellet gun or something similar. 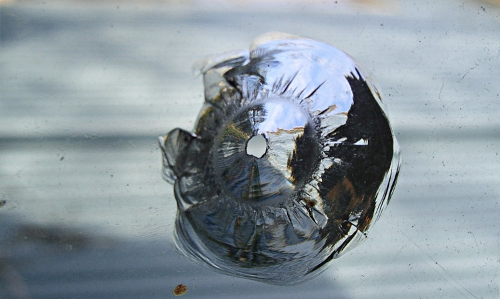 It is typically a small hole of up to 5mm in diameter on the impact side of the glass and a larger cone shaped hole of 2 to 3 cm in diameter on the opposite site. Repairing Window and Door glass quickly will stop dirt and moisture embedding in the damaged area and will reduce the temptation for people (especially children with small fingers) to put fingers or objects into the damaged area. Also, importantly it will strengthen the remaining glass which may otherwise shatter from this weakened point with only a small bump. Once repaired the cosmetics will improve substantially but repairs may not be invisible. Door and Window Glass Chip Repairs Beenleigh, Ormeau, Pimpama, Coomera, Helensvale, Hope Island, Nerang, Runaway Bay, Southport, Surfers Paradise, Bundall, Molendinar, Mudgeeraba, Robina, Burleigh, Currumbin, Palm Beach and all Gold Coast Suburbs.